Returning students and families might notice a little something different about us online this year. Whittier Union High School District is proud to bring you a new, user-friendly website. The simple and modern look is designed to help our stakeholders stay informed about the latest accomplishments, events, and resources at our schools. The new district website and individual school homepages feature a contemporary aesthetic and efficient access to news and announcements, a calendar of events, school activities, programs and services and other resources. 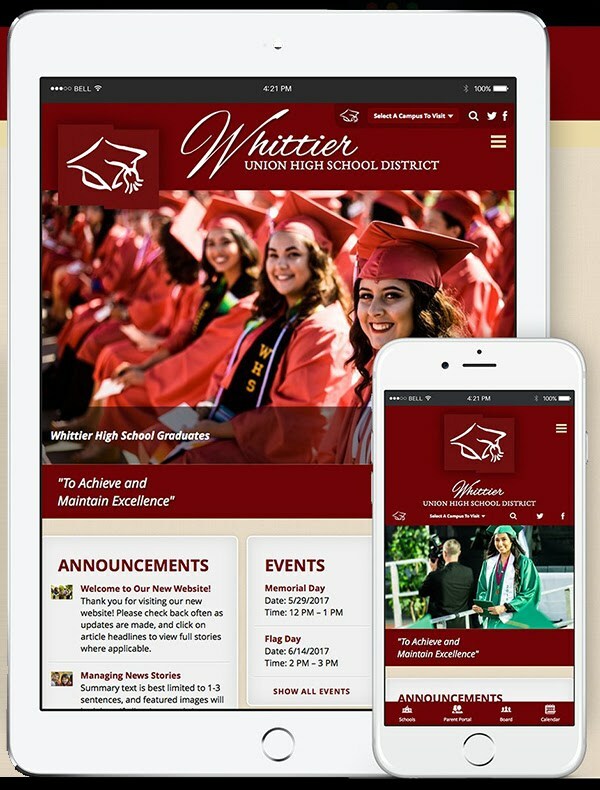 The revamped district and school homepages are accessible on tablets and mobile phones to further strengthen convenience for users. A translation button is available on all of our district's webpages, allowing visitors to translate the website content into a variety of languages using Google Translate.